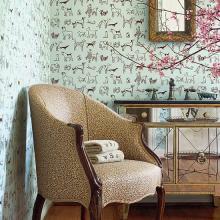 Established in 1886 Thibaut (pronounced Tee-Bo) is America’s oldest wallpaper firm. 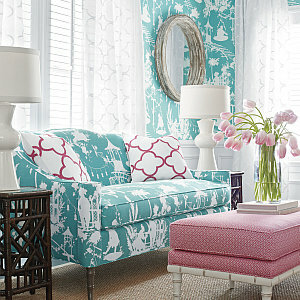 Known for a fresh, inspiring colour palette with classic style, Thibaut offers unsurpassed quality and design. 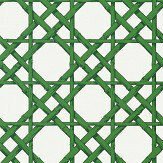 With an insightful knowledge of trends Thibaut consistently delivers uniquely designed wallpaper collections. 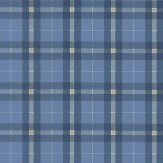 A classic tartan check design in navy blues and white. Wide width. 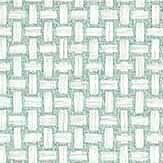 This is an American wallcovering and will take between 7-10 working days for delivery. Wide width. Please request sample for true colour match. 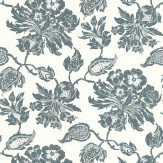 A pretty digital print floral damask in navy on cream - vinyl coated. 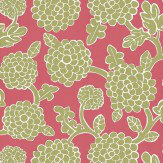 This is an American wallcovering and will take between 7-10 working days for delivery. Wide width. Please request sample for true colour match. 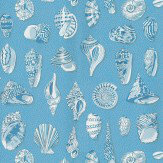 This design has lots of different shells, with delicate patterns on a randomly spotted background - shown in shades of blue. Wide width Vinyl Coated Please request a sample. 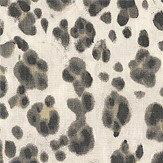 Delivery for this specially made wallcovering is 4 weeks. Minimum order is 2 rolls. 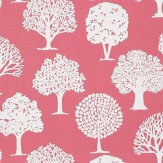 A sweet floral jungle trail on a rich coral pink background with cute monkeys cavorting in the branches.- vinyl coated. 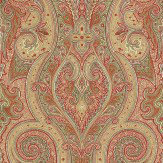 This is an American wallcovering and will take between 7-10 working days for delivery. Wide width. Request sample for true colour. 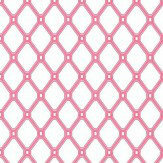 A classic crisply drawn geometric diamond trellis design - shown here in the raspberry pink on fresh white - vinyl coated. 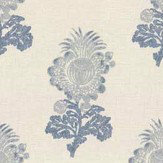 This is an American wallcovering and will take between 7-10 working days for delivery. Wide width. Request sample for true colour. 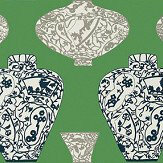 A stylised thai ikat design, in green and cream - Vinyl coated. 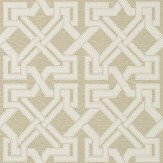 This is an American wallcovering and will take between 7-10 working days for delivery. Wide width. Please request sample for true colour match. 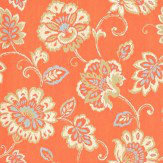 A pretty, bold floral trail with a handpainted distress effect in rich orange - Vinyl coated. 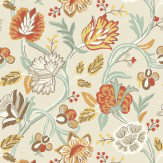 This is an American wallcovering and will take between 7-10 working days for delivery. Wide width. Please request sample for true colour match. 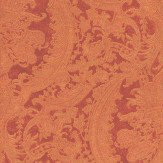 A bold and luxurious damask design shown here in shades of rust. Vinyl coated. 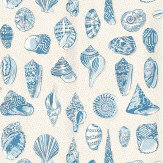 This is an American wallcovering so will take 10-14 working days for delivery. Wide width. Please request sample for true colour match. 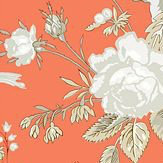 A pretty floral trail with a handpainted effect in cream and orange - Vinyl coated. 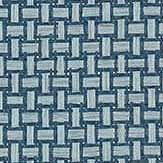 This is an American wallcovering and will take between 7-10 working days for delivery. Wide width. Please request sample for true colour match. 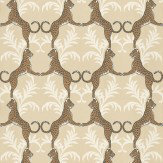 A stylised cheetah design in a geometric style, on a pale orange background - Vinyl coated. 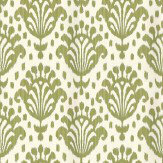 This is an American wallcovering and will take between 7-10 working days for delivery. Please request sample for true colour match. 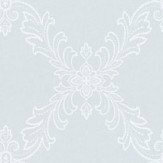 An amazing new collection of wallpapers with that fresh American styling - wide width and slightly shorter that European rolls - the colours in this collection are stunning. 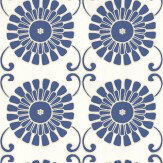 With a range of simple, small scale geometric patterns and bold, floral and birds designs. A mixed collection of cotton and linen mix fabrics - created to co-ordinate with the wallpaper collection, for a traditional, classic country style. Perfect together, mixed or matched but also strong enough designs to standalone in your room. 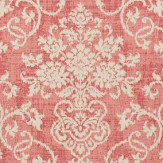 Suitable for all soft furnishings in your home. 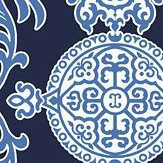 A contemporary collection of traditional designs, inspired by European style with a modern colour palette. 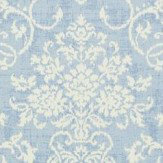 Includes classic damask designs with distressed ink effects, bold florals, and subtle trails, trellis patterns and a country classic toile design. 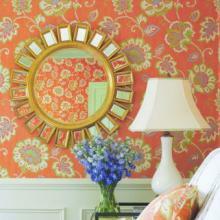 A stunning bright collection of American designed wallcoverings to celebrate the colours of Summer all year round. Hot pinks and coral oranges, together with emerald green and sea blues, beautifully combined with white to give the freshest look! These American style rolls are wide width and take just a little longer to arrive, but we believe they are worth the wait. 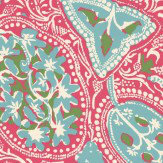 A beautiful fabric collection, perfect for adding a touch of Summer style to your home, whatever the weather! 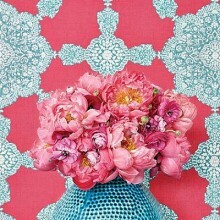 Designs include painterly florals, small scale geometrics, and trailing patterns. Reflecting the beautiful open air, classy Hampton community its named after, this sophisticated collection has designs for every room. 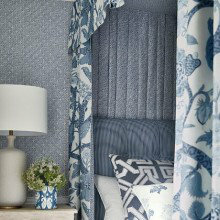 A stunning collection of classic and contempoary damask designs, in a wealth of colours and textures, including foil, flock, vinyls and woven textiles. 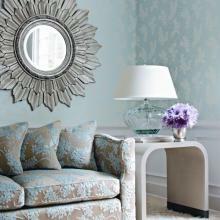 Beautiful, and easy to live with, these wide width wallcoverings are a joy. 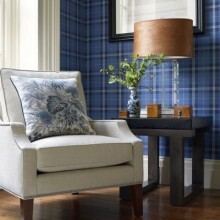 Looking for some grown up stylish living then take a look at these designs. A beautiful collection of wide width wallcoverings, in fresh, bright colours, perfect for that summer feeling all year round. 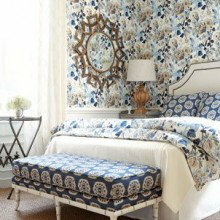 Designs include watery florals, smart small scale geometrics, tile effects, flower trails and motifs. Reflecting the beautiful open air, classy Hampton community its named after, this sophisticated collection has designs for every room. 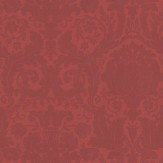 A glorious extravagance inspired by exotic destinations, this beautiful collection of wide width, American wallcoverings is perfect for adding some sophisticated colour to your home. 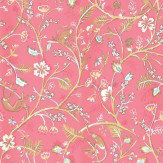 With rich colours and detailed large scale designs which add instant impact. 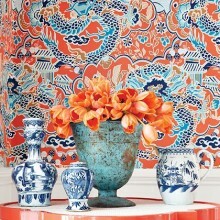 A bold, beautiful collection of designs inspired by the Far East and the Chinoiserie style but in a sophisticated, contemporary colour palette. 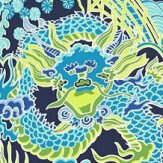 Incudes an amazing Chinese dragon and delicate feather patterns. 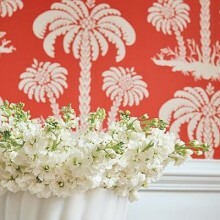 These wallpapers are perfect to add warmth and statement colour to your home. These American style rolls are wide width and take just a little longer to arrive, but they are worth the wait. Influenced by Chinese culture, this stunning collection of wide width papers takes a fresh twist on Eastern design with bold colours and striking motifs. 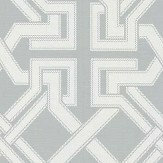 The collection features gorgeous designs from eye-catching geometrics and trellis prints to delicate and beautiful floral designs. With such a variety, there is something to suit every taste and perfect for adding a splash of colour to your home. 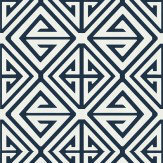 A beautiful, bold collection of American wallcoverings with a strong graphic theme. 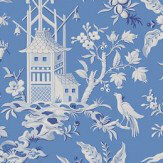 Ranging from tree motifs and trellis effects and fabric effects to a stunning cityscape. Note this product comes direct from the USA so may take between 7-10 working days to arrive. A delightful collection for Spring / Summer - full of fresh bold zinging colours. 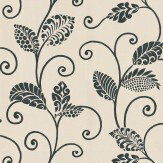 Teamed with white they are the perfect way to add personality to your home. 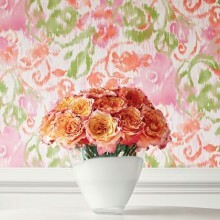 So banish the beige this Spring and embrace these beautiful wallpapers from Thibaut. Note this product comes direct from the USA so may take between 7-10 working days to arrive. 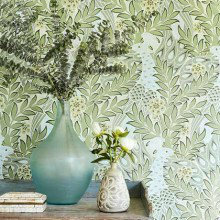 Inspired by all things beautiful, the Richmond collection has been created with a deep regard for classic American design and reverence for British style, filled with powerful statement patterns and subtle notions of luxury in wallpaper. 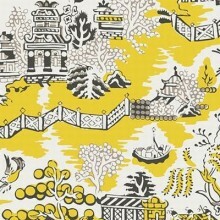 Some of these American wallpapers are wide width, so please check the details before ordering. Note the product comes direct from the USA so may take between 7-10 working days to arrive. For a masculine feel to a room, perfect to create the classic smoking room or gentleman's study but updated and freshened up for modern living. 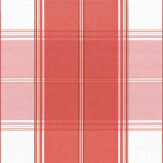 Suitable for offices, receptions and waiting rooms - traditional checks and motifs. 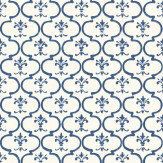 This is an American wallcovering and will take between 7-10 working days for delivery, we think it's worth the wait! 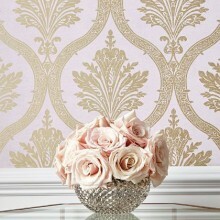 A small selection of the beautiful wallpapers available from this new Thibaut collection Jubilee. These American wallpapers are wide width and come direct from the USA so will take between 7-10 working days to arrive, but we think they are worth the wait. 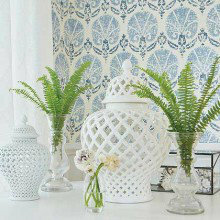 A delightful collection of some of the bestsellers from Thibaut. This collection includes the quirky, the fun and beautiful best from this American company. 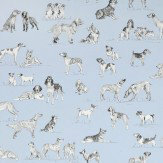 Hunting scene, dog motifs, seaside scenes, lighthouses and a wide variety of florals. 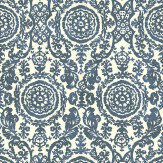 This is an American wallcovering and will take between 7-10 working days for delivery, we think it's worth the wait! 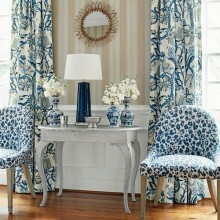 A new collection called Avalon by Thibaut. 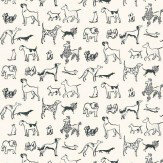 This is a huge collection with so many designs to choose from. 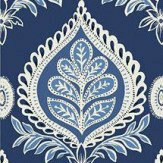 starting with a geometric diamond pattern with water colours effects, beautiful floral trailing in fresh colours, and some with metallic inks, stylised metallic foliage designs and pretty paisley patterns. 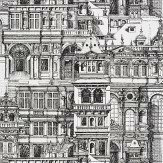 More stunning designs available. 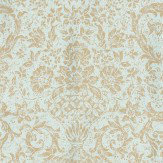 This is an American wallcovering and will take between 7-10 working days for delivery, we think it's worth the wait! 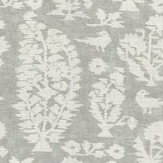 This collection has translated the ancient weaving technique of damask into beautiful wallpaper prints for the modern living space. 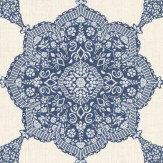 Using varying printing techniques and paper types, Damask Resource 3 diversifies its appeal by expanding the impact of this traditional art form. These are American papers and will take 7-10 working days for delivery, we think it's worth the wait!